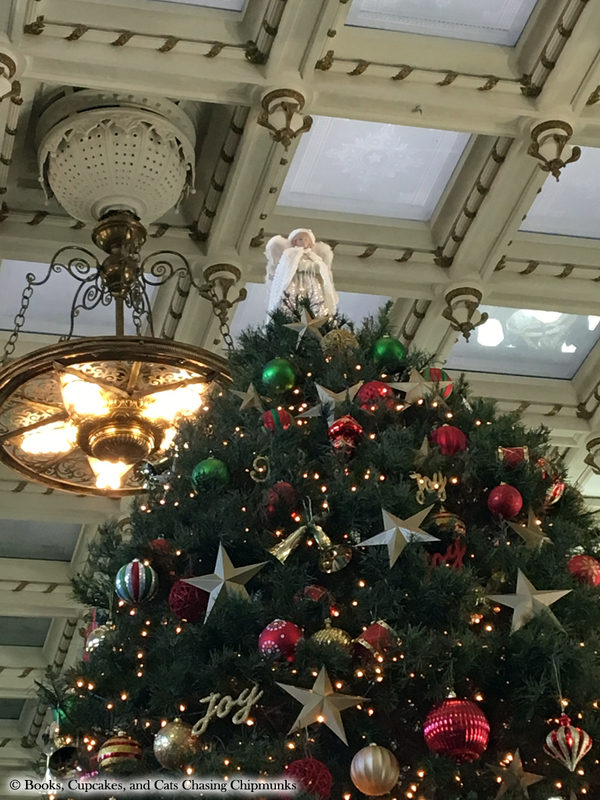 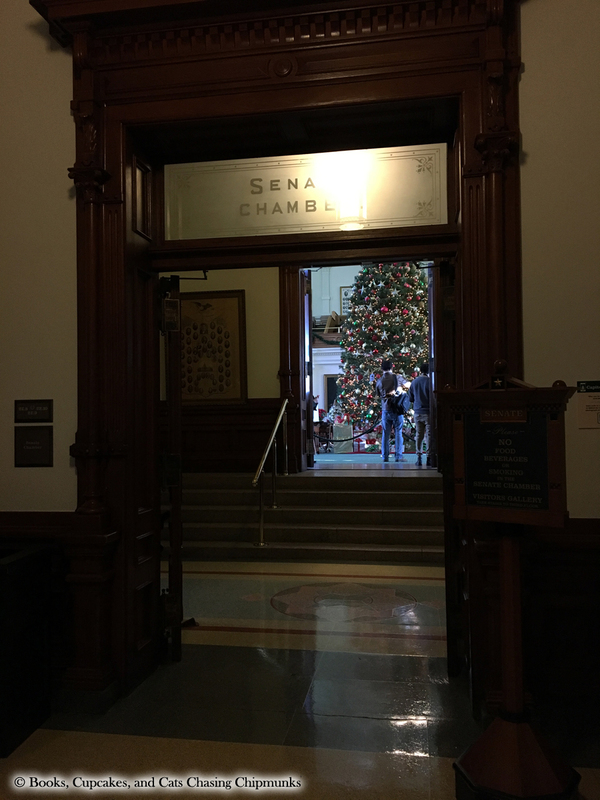 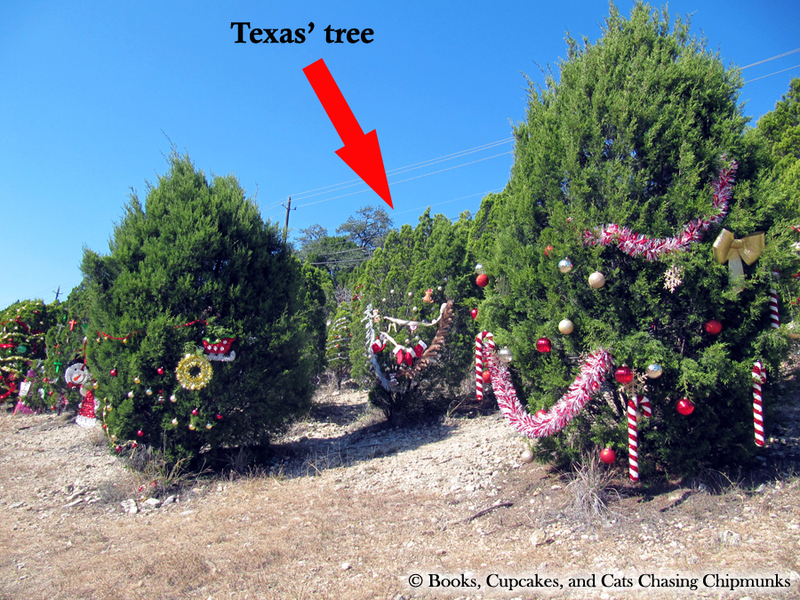 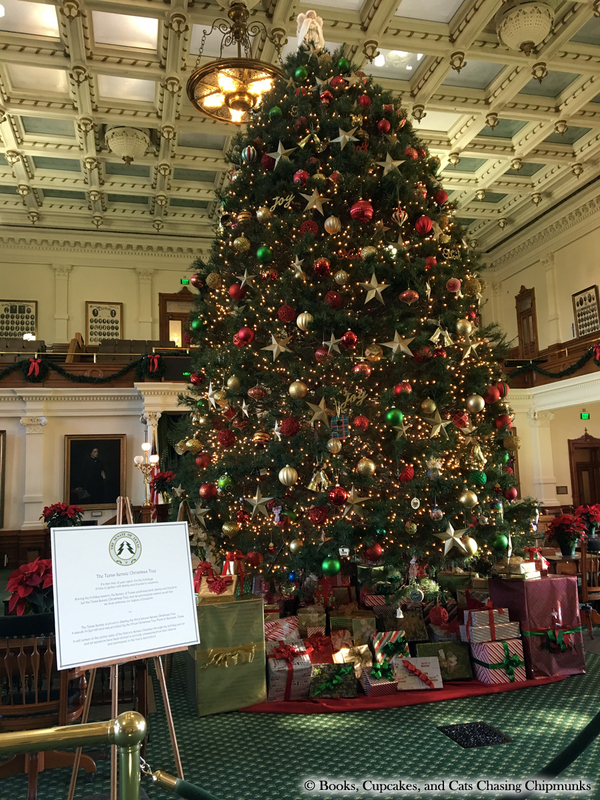 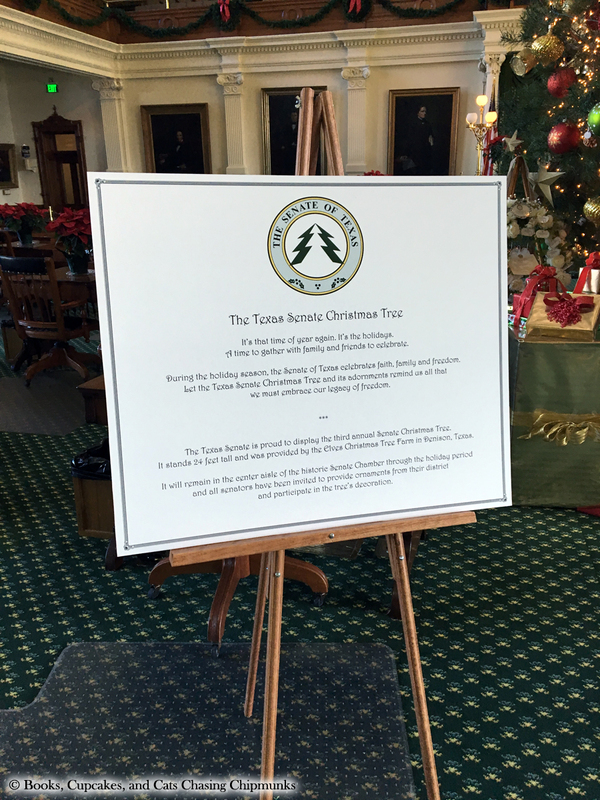 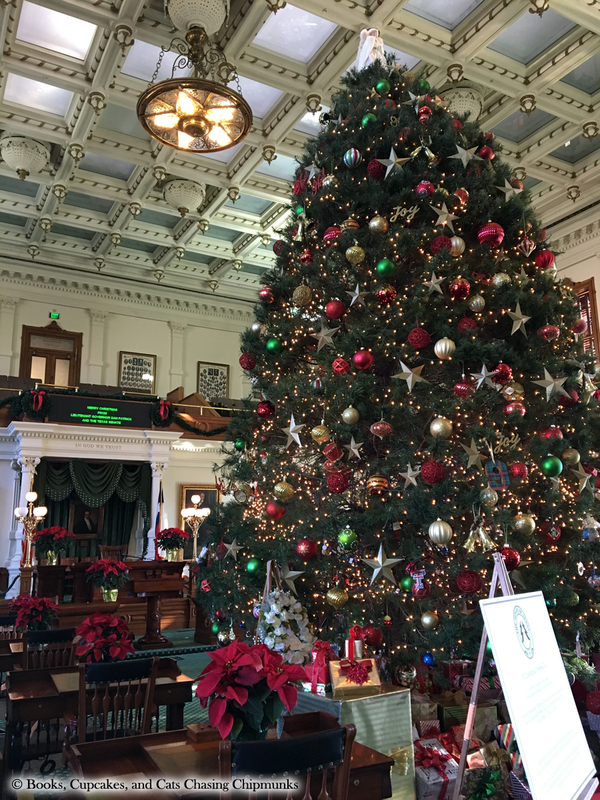 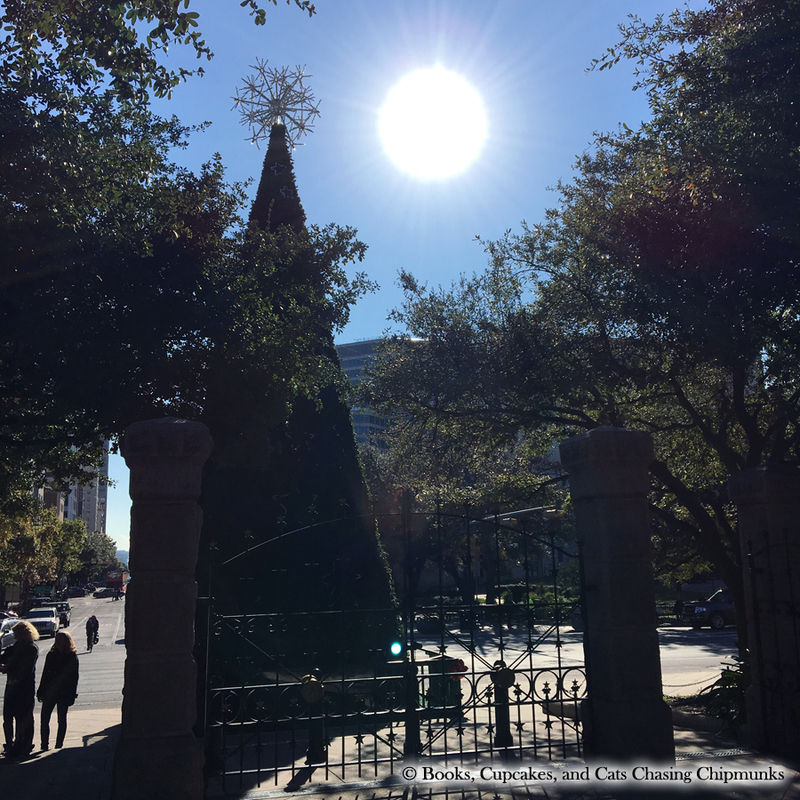 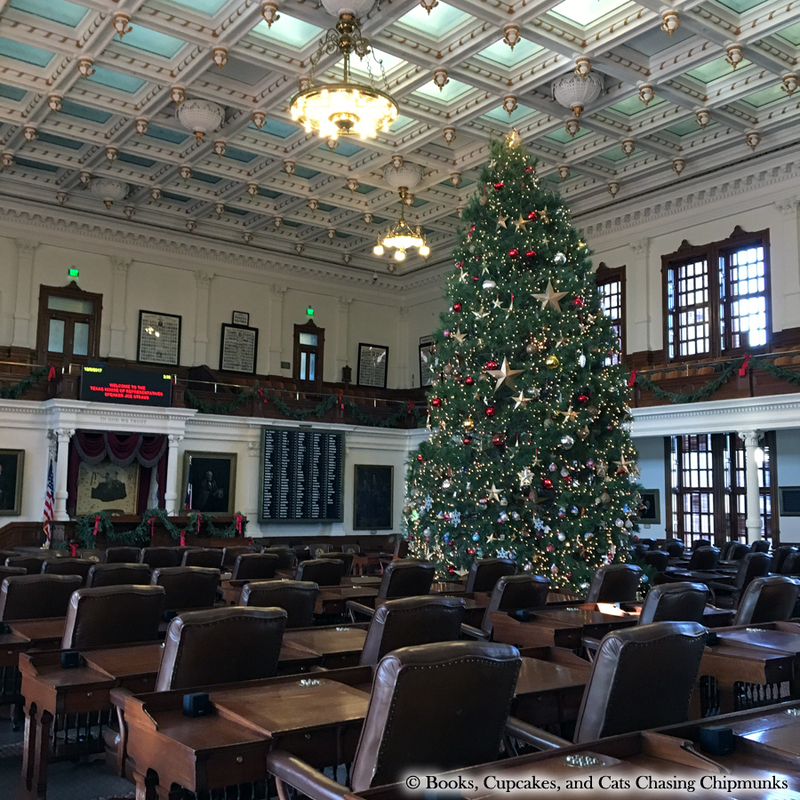 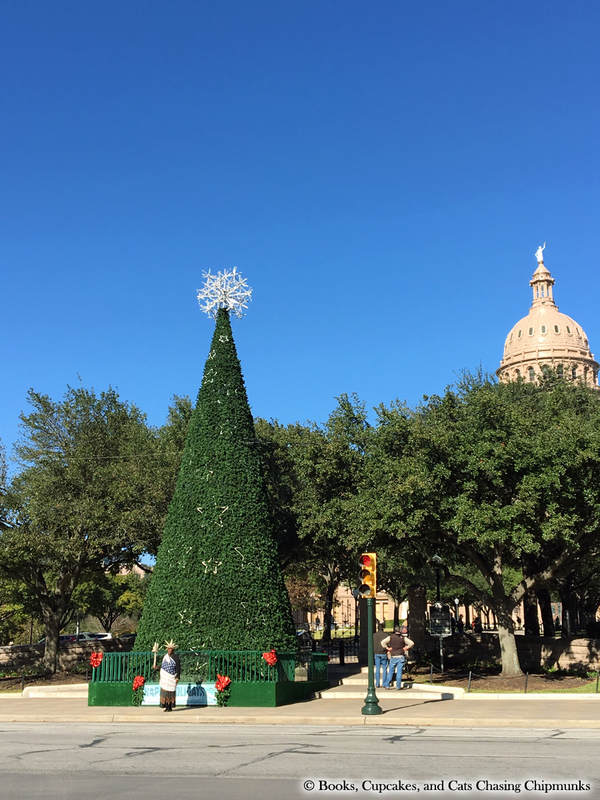 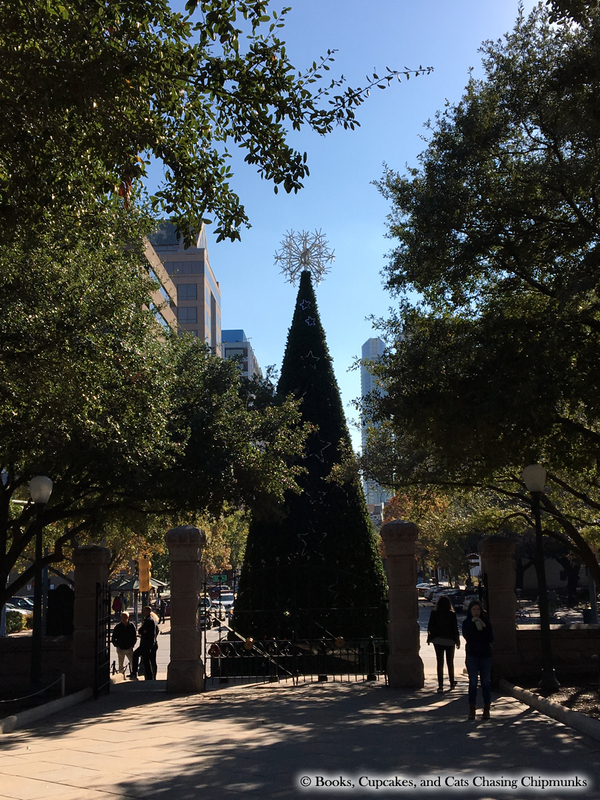 I’ve posted before about the tradition of decorating Cedar trees as Christmas trees on Loop 360. 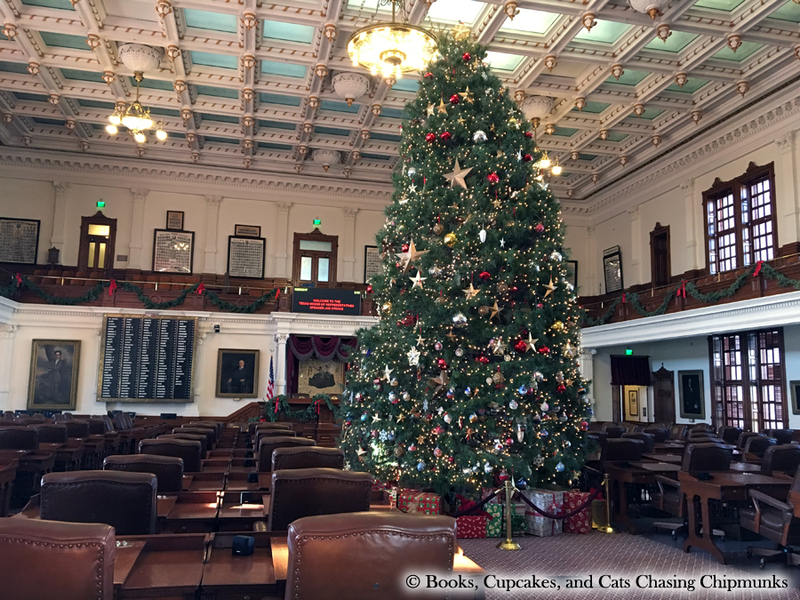 This year, I have new pictures of course (second part of this post) but I also have something new: I decorated my own tree! 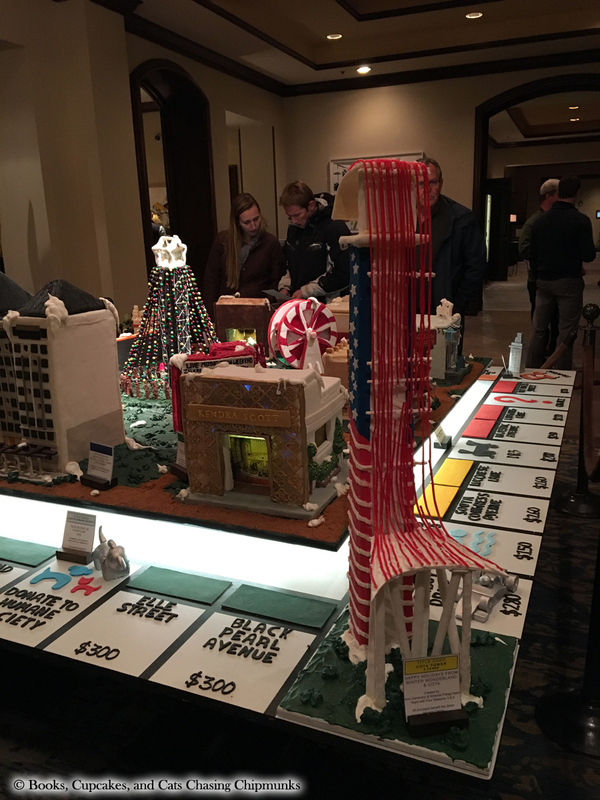 This is something that I had intended to do last year, but as so many other things I enjoyed then but didn’t have the heart to do last year, it didn’t happen. 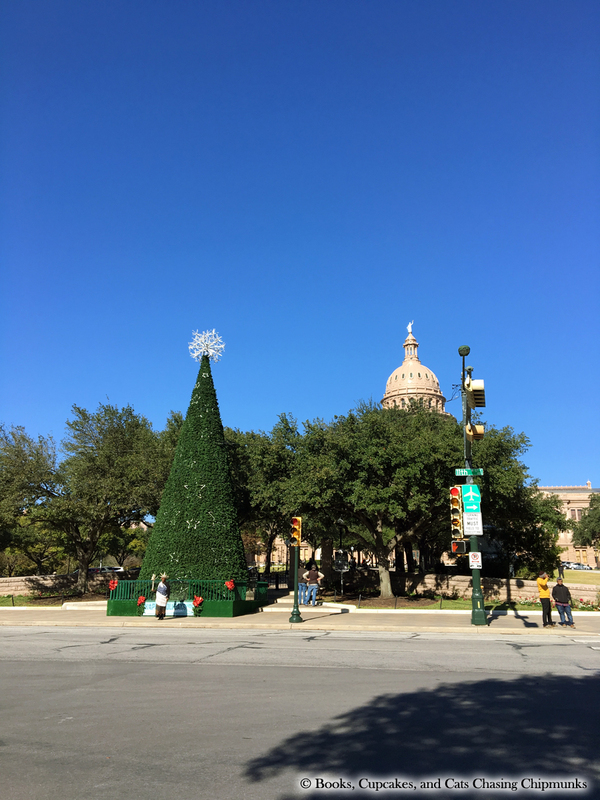 So this year, I finally created my first Christmas tree on Loop 360. 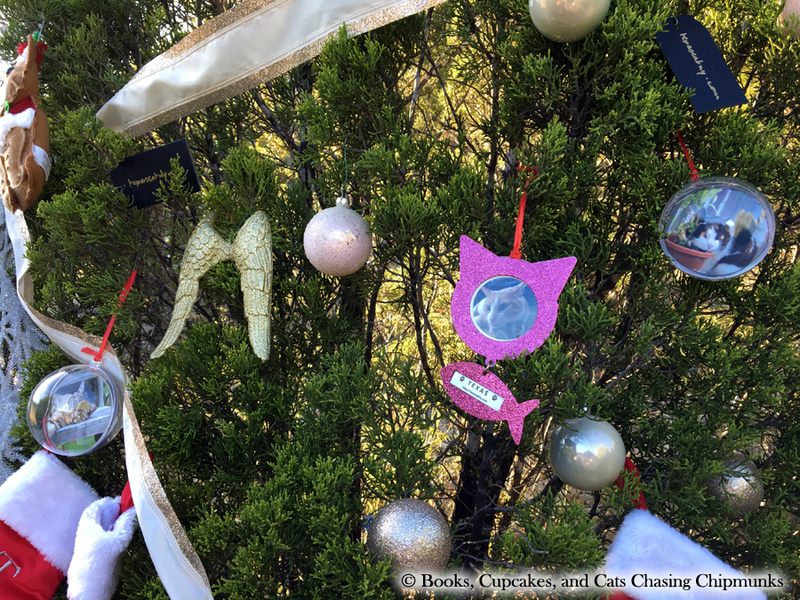 It is dedicated primarily to my kitty Texas, who left us last year, as well as two other French kitties we lost, Grouik and Milou. 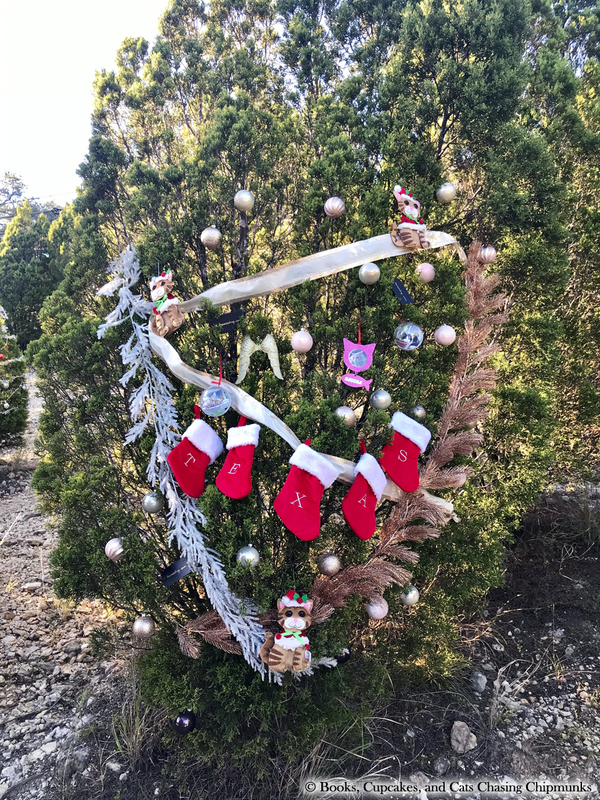 Thanks to Jody for helping me decorating this tree! 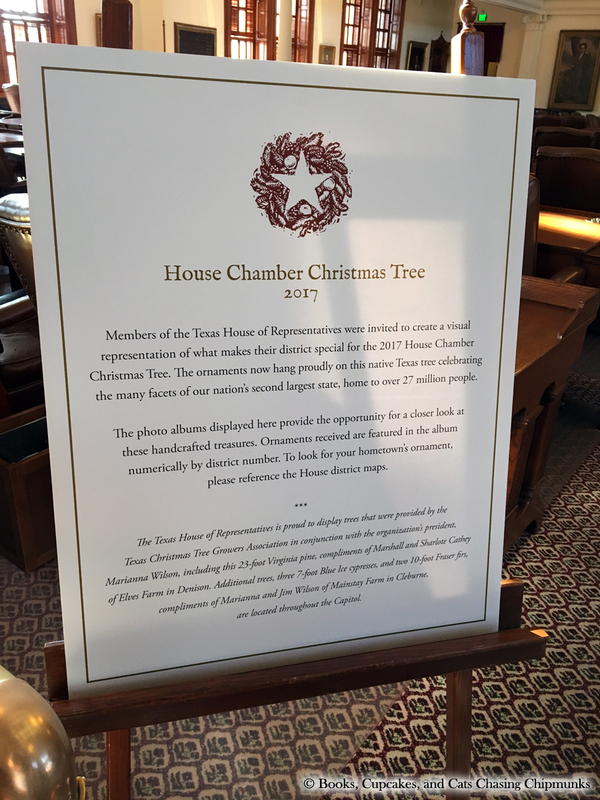 Below the pics of Texas’ tree are pictures of other trees from this year. 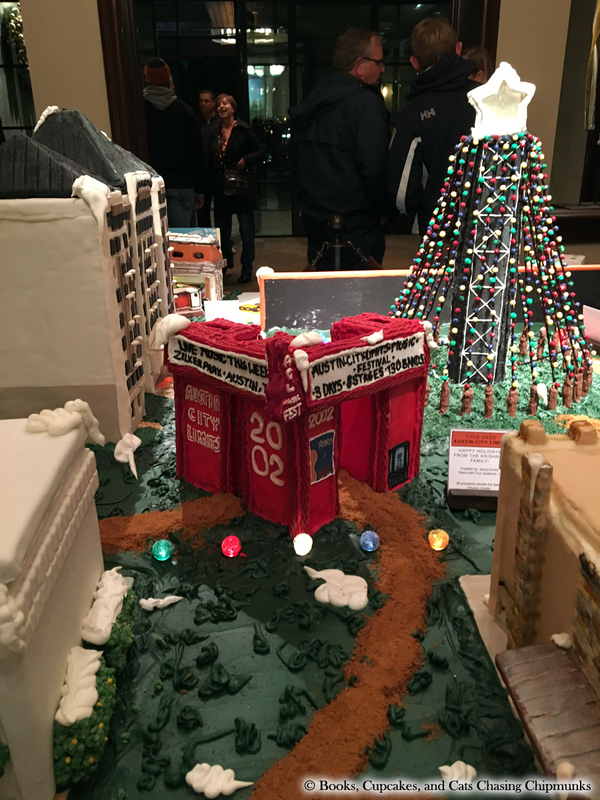 Every year, the Four Seasons downtown Austin creates a gingerbread village for the Christmas season. 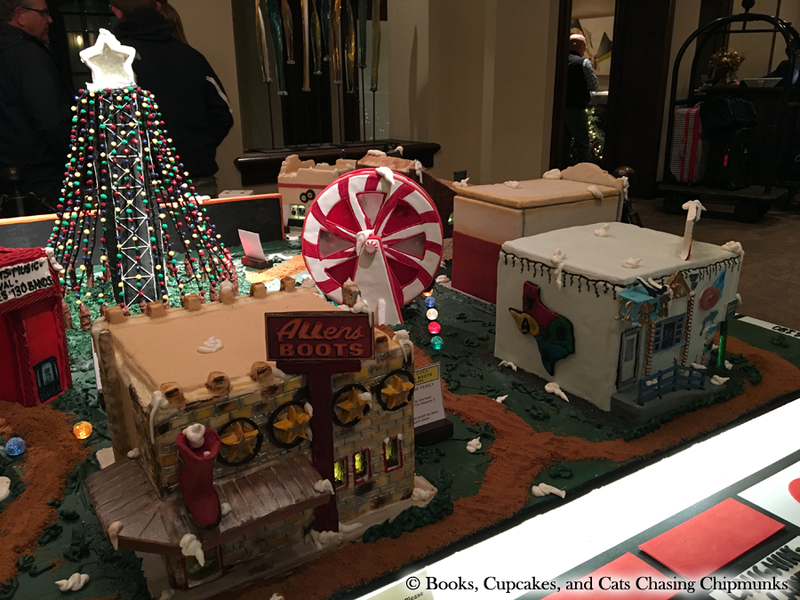 The village is made of all-edible gingerbread houses under one theme. 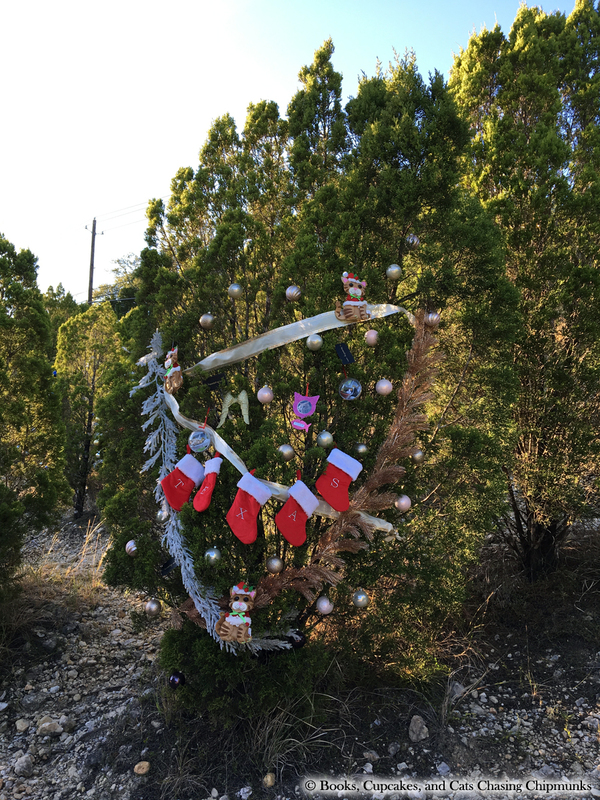 I’ve only seen two of their villages. 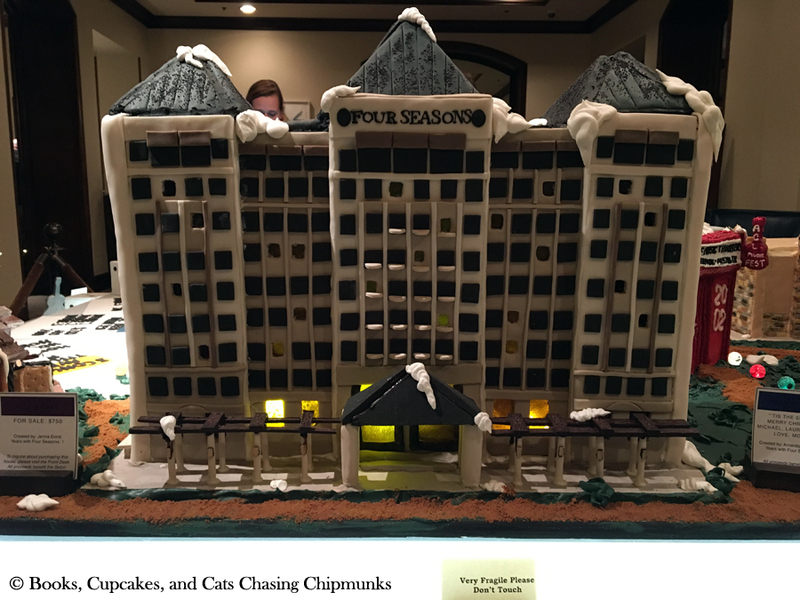 Last year, the theme was children stories and nursery rhymes and it was pretty impressive. 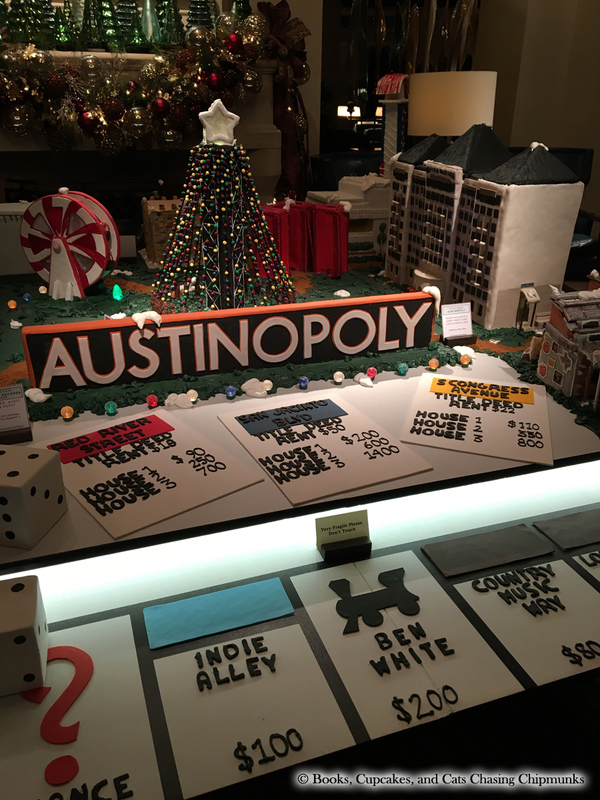 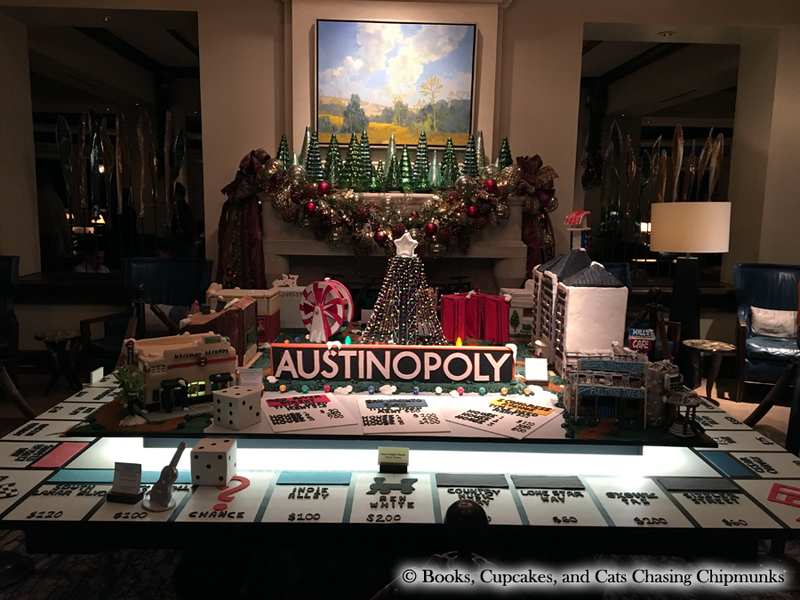 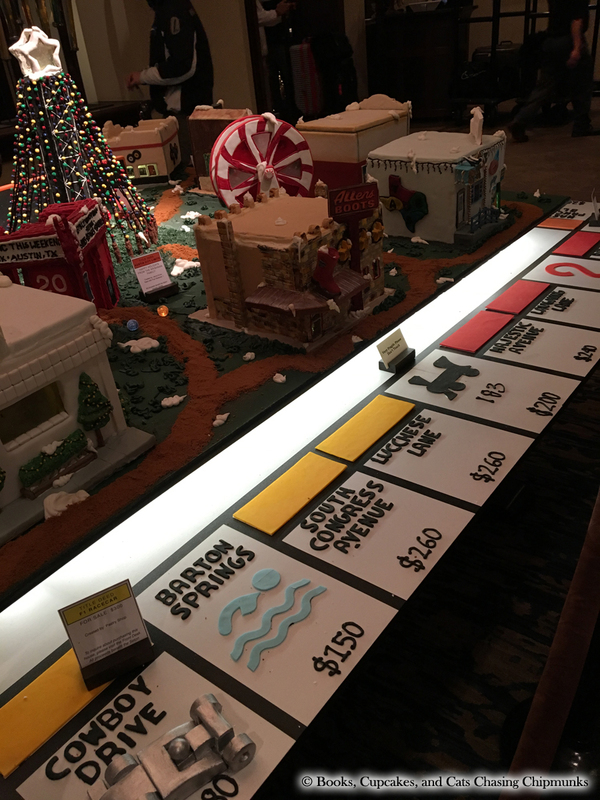 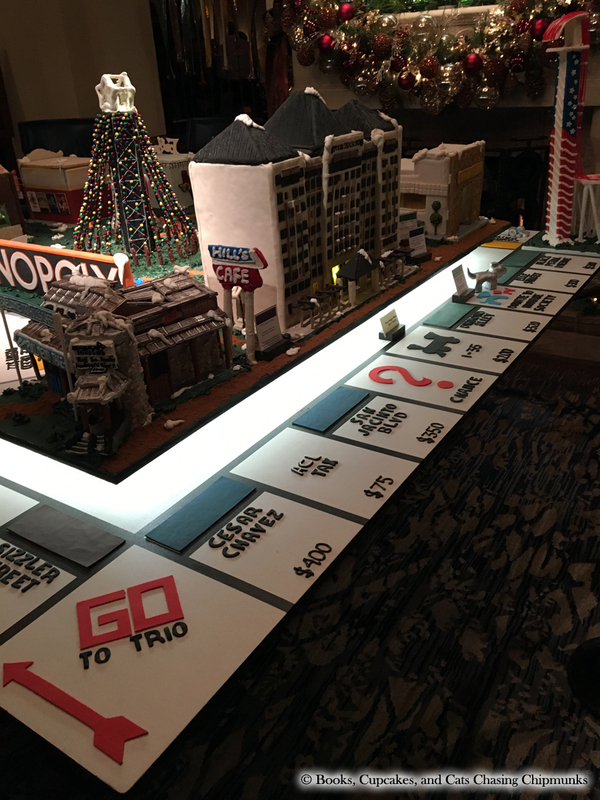 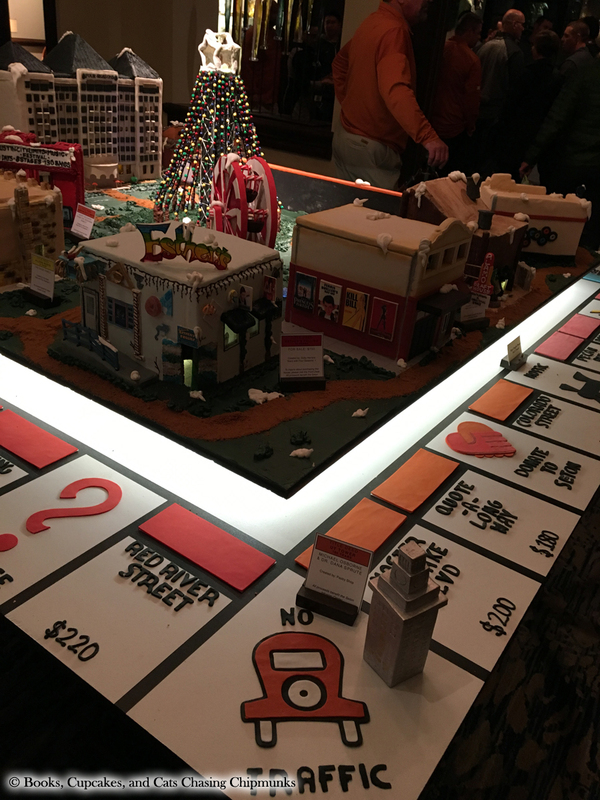 This year, the theme is monopoly, and for the occasion, of course, the city of Austin is the city where the game takes place: Austinopoly! 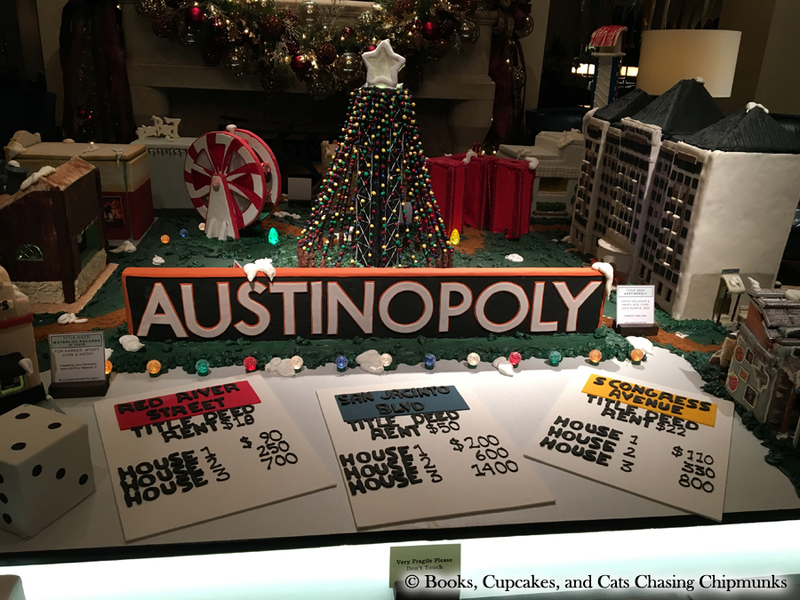 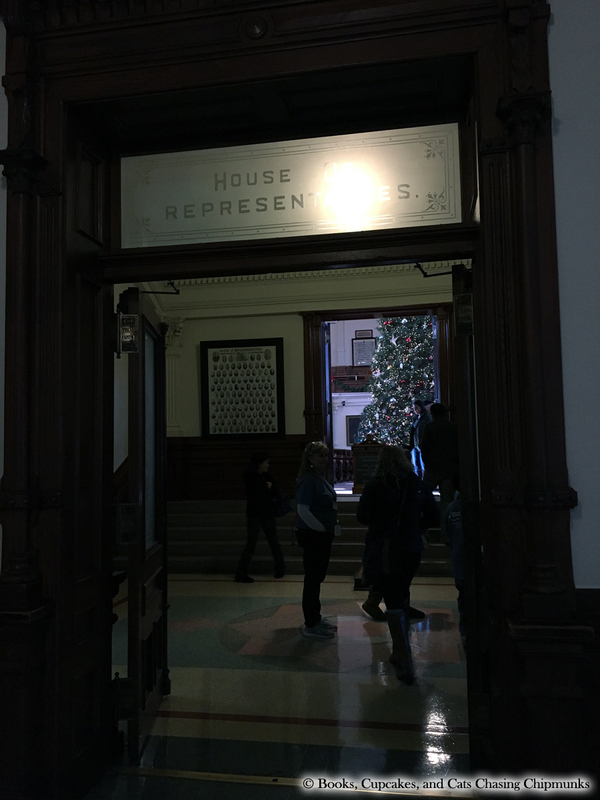 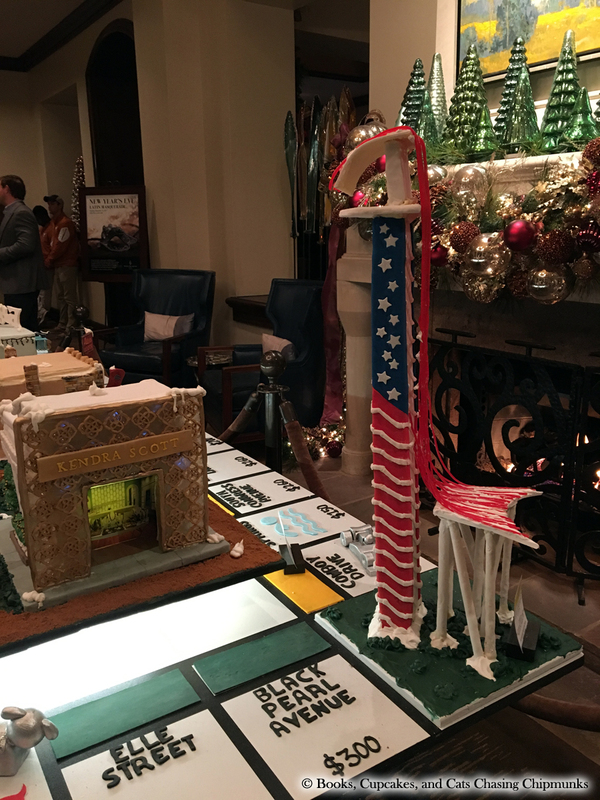 The gingerbread houses represent iconic places in Austin, such as COTA’s tower, or the Alamo Drafthouse.